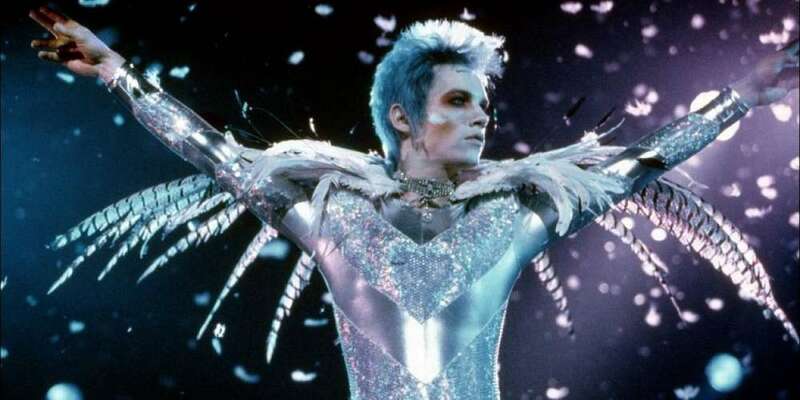 This story about the 20th anniversary of Velvet Goldmine was contributed by a Hornet user through our Community Platform. You, too, can contribute stories to Hornet. Head here for more info on writing for us. May 22 marks 20 years since the Cannes Film Festival premiere of Todd Haynes’ Velvet Goldmine. The film details the Citizen Kane-like odyssey undertaken by a gay journalist named Arthur Stuart, tasked with finding out whatever happened to former glam-rock superstar Brian Slade. While Haynes’ love letter to David Bowie, glam rock, genderbending and sexual liberation should have gone off like a rocket, to paraphrase the film, instead it went down like a bloody knackered lift. 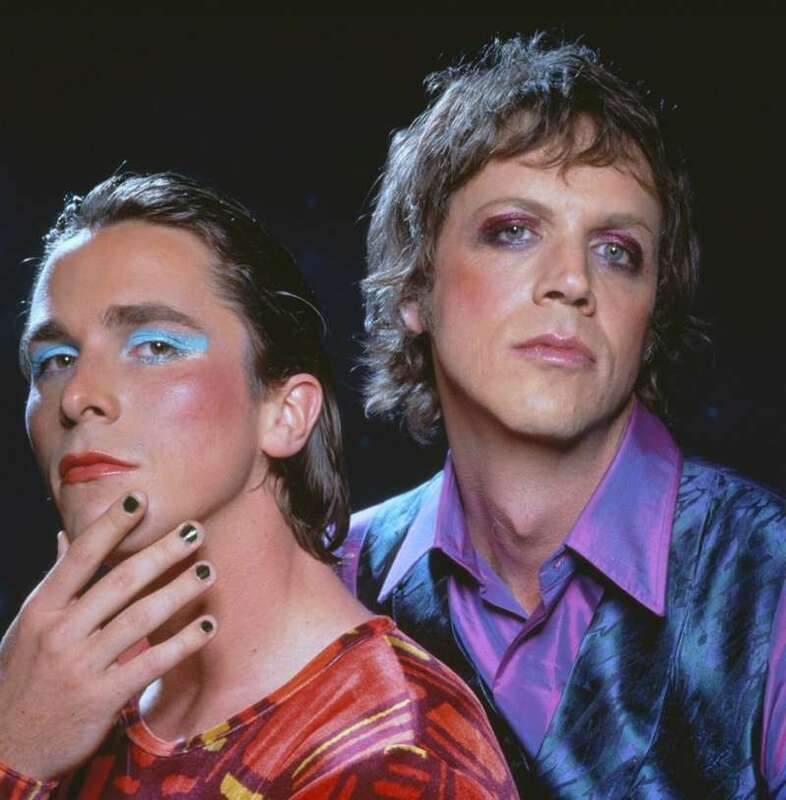 Despite its intoxicating subject matter and outstanding cast (including Ewan McGregor, Jonathan Rhys Meyers, Christian Bale, Toni Collette, Eddie Izzard) the deck seemed to be stacked against Velvet Goldmine before it was even released. Bowie had famously declined to contribute any music, while Miramax head Harvey Weinstein was not only heavy-handed with his editing demands, he allegedly abandoned the film not long after it screened at Cannes. Critics and audiences didn’t warm up to Velvet Goldmine either. Roger Ebert’s review claimed that “[Velvet Goldmine] wants to be a movie in search of a truth, but it’s more like a movie in search of itself.” A review from CNN’s Paul Tatara was almost cruel in its dismissal: “If you bother to scratch through the silver glitter eye shadow, there’s absolutely no movie left.” With a $7 million budget, Velvet Goldmine only recouped a little over a million. This disconnect between artist and audience seems to have been the impetus of LiveJournal user vardathemessage’s (named for a bit of polari slang used in the movie) year-long daily chronicle on the film. 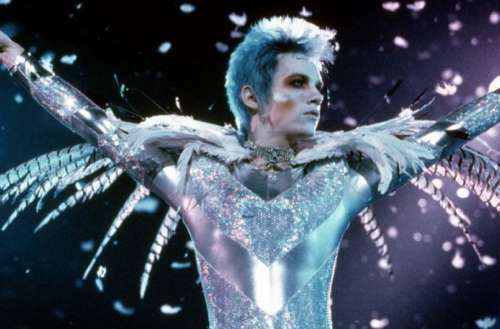 Begun in May 2004, this LJ account positioned itself as the “annotated Velvet Goldmine.” Vardathemessage was even thanked in Haynes’ commentary for the film’s 2001 release on Blu-ray. 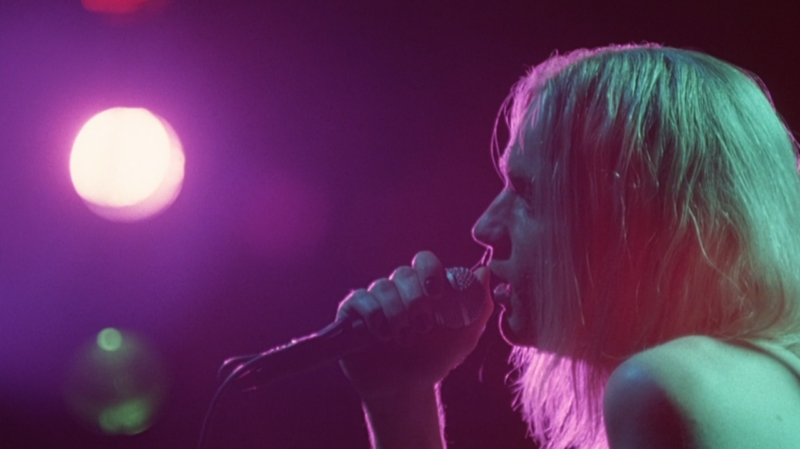 In the last decade or so, it seems that Velvet Goldmine has also experienced a bit of a critical renaissance. Perhaps this is because some of those people who fell in love with the movie as teenagers have become movie critics themselves. 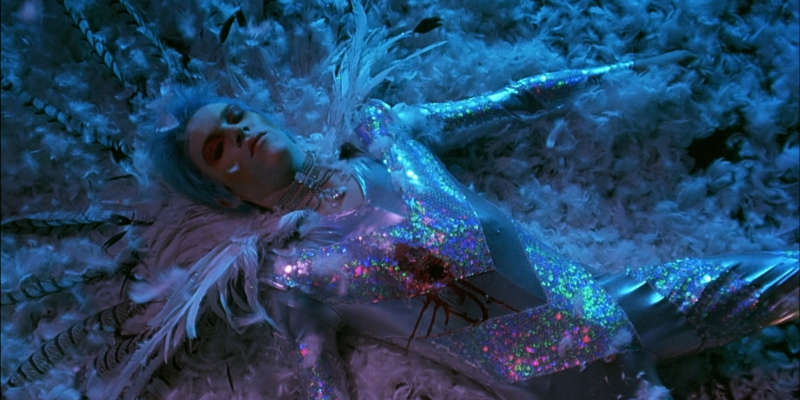 With all of its musings on sexual and gender identity and freedom, Velvet Goldmine feels like the perfect film for our current world, albeit perhaps one that came 20 years too early. So whatever happened to Brian Slade, and the rest of the cast of Velvet Goldmine? While the film may have only recently been considered a critical success, the same cannot be said for its cast, all of whom have received considerable renown. Ewan McGregor (Curt Wild) played young Obi Wan-Kenobi in George Lucas’s Star Wars prequels, but most recently he won a Golden Globe for Best Actor for his dual role in the TV series Fargo. Jonathan Rhys Meyers (Brian Slade) won a Golden Globe in 2005 for his portrayal of Elvis in the TV movie of the same name. He was also nominated for his work on both The Tudors (2007-2010) and Dracula (2013-2014). Toni Collette (Mandy Slade) shared a Screen Actors Guild Award for Outstanding Performance in a Motion Picture with the cast of 2006’s Little Miss Sunshine. She also starts in one of 2018’s most buzzed about horror films, Hereditary. 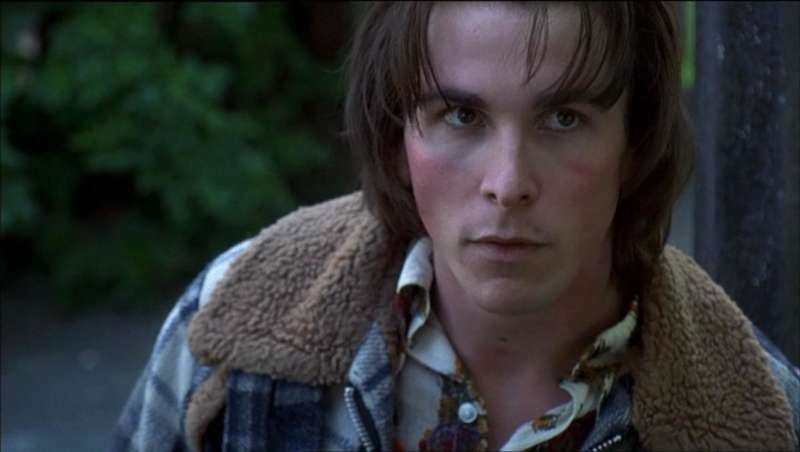 Not long after Velvet Goldmine, Christian Bale (Arthur Stuart) went on to portray Bruce Wayne/Batman in Christopher Nolan’s cinematic trilogy. He won both a Golden Globe and an Academy Award for his role in 2010’s The Fighter. Last, but certainly not least, Eddie Izzard (Jerry Devine) continues to perform stand-up comedy. He has done voice acting for several films including Cars 2 and The Lego Batman Movie. He has also appeared in several TV series including Hannibal and The United States of Tara (which, coincidentally, starred Toni Collette). Director Todd Haynes has continued to make films, several of which have been critical successes. His films Far From Heaven, I’m Not There, and Carol have all won awards, while his 2011 HBO adaptation of Mildred Pierce was called a “masterpiece” by Salon. He’s currently working on a documentary about the Velvet Underground and a TV series about Sigmund Freud. Have you seen Velvet Goldmine? What did you think? Let us know in the comments.